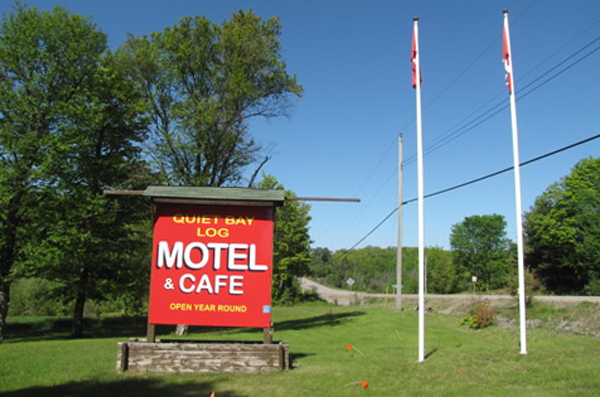 Quiet Bay Log Motel is located on Ahmic Lake, in a beautiful cottage country setting and is complete with all the conveniences. We offer guests a choice of comfortable rooms, some with fireplaces and kitchenettes or the cottage. Enjoy the outdoor seasonal pool or year 'round hot tub. The Quiet Bay Café is a great place for breakfast or lunch.